How do we always get value for money? How do we ensure that our Suppliers still benefit? All communication around procurement must be electronic by October 2018, making now the time to invest in a Delta eSourcing Dynamic Purchasing System (DPS). Tender documents that are placed on a DPS are made freely available electronically from the date of the advert. This makes public procurement more transparent as these procurement documents must remain available electronically throughout the lifecycle of the Dynamic Purchasing System. Find out more about our Dynamic Purchasing System module below. Delta eSourcing’s DPS is completely electronic. The module allows buyers to procure goods, works or services commonly available on the market quickly and efficiently from a refreshable pool of suppliers. DPS is an efficient and wholly electronic framework procedure, enabling buyers to get more value for money from their suppliers. What are the benefits of DPS? Improve efficiency as there is no requirement to advertise in OJEU for each mini-competition and suppliers only need to demonstrate suitability once. Refreshing your pool of suppliers is important, as it ensures that your organisation is consistently benefiting from the eProcurement process, gaining value for money and ensuring that your suppliers always remain competitive. When you choose to use a DPS, new suppliers can join at any time, which means that new players in the market are not locked out of your supplier list – keeping everybody happy! This streamlines public sector procurement as suppliers do not need to repeat suitability and capability steps every time that they want to tender for a public sector contract. All in all, this speeds up the process as it makes tendering much simpler! How can Delta eSourcing system help? Our tools are EU compliant. We offer our customers a full eSourcing web-based service, and as we are committed to helping the public sector make efficient savings, you can create a package that fits the needs of your organisation.  Delta eSourcing customers have the flexibility to create a bespoke procurement package. Whether you are looking for a Dynamic Purchasing System module a Tender Management solution or both, you can choose from a range of Delta eSourcing services. Manage tenders, suppliers and contracts in a single solution – our eSourcing system. Book a free demo with Delta and see how our DPS can benefit your business first hand.